It’s not Sam-I-Am’s ridiculous persistence (although there’s a lesson there, to be sure). 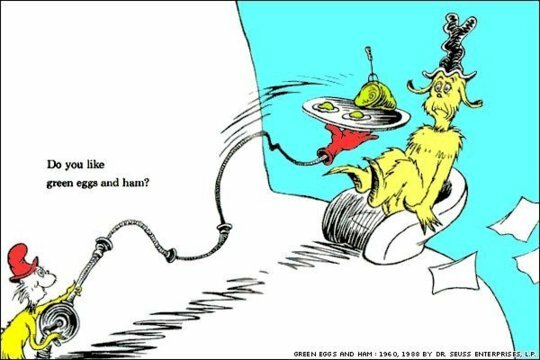 The sales lesson is in Dr. Suess’s economy of language. He only uses 50 words in the children’s favorite. Yet he tells a complete story. He does not waste a word. He uses each to move the story forward and create compelling interest. You want to know what’s going to happen. 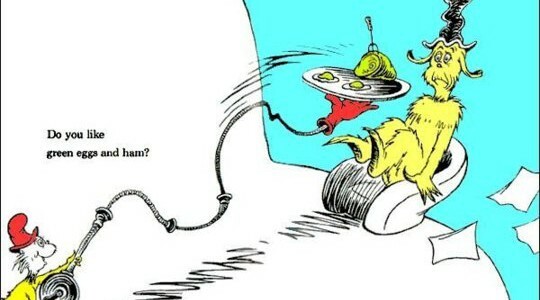 You want Sam-I-Am’s pluck to win in the end. The rhythm and rhyme drives the action. Again… only 50 different words, used perfectly. Get to the point. Use few words. Use them effectively. Focus them like a laser on the value you create for your client. Be interesting and tell a good story, but don’t waste or use unnecessary words…or your client’s time. 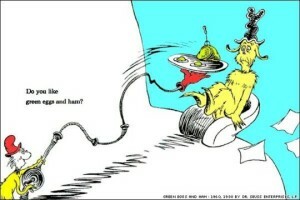 In honor of Dr. Seuss’s recent birthday. Sign up and receive new posts as they come out.